One of the busiest staging seasons is over and it’s been a crazy real estate market, with greater than expected sales volume in many areas. Many have called 2014 the year of the trade up (and vacation home) buyer. This provides excellent opportunity for home stagers who are out there marketing their staging services in a professional and consistent way. In this month’s articles, you’ll learn how to know what decor style to use in your home staging projects and how to know whether that extra bedroom should be staged as a home office, nursery, or something else. I’ve also written about the difference between home staging and decorating from our point of view as stagers and decorators. How would we approach each project and which one is more creative? This month showcases two of my favorite staging photos, a fab home staging business logo, and more. 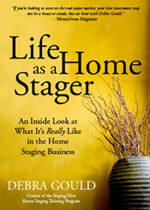 Keep reading and you’ll meet 8 home stagers who I know will inspire you in your own business. 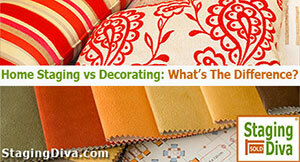 To read all the great home staging industry content click here. I hope you’ve enjoyed a busy staging season and taking action on the business and marketing ideas I share in this newsletter and my blog, Home Staging Business Report. If you’re feeling stuck, or not experiencing the business growth you hoped, please use this down time to learn how to take your business up to the next level with solid home staging business training.